opened fire. 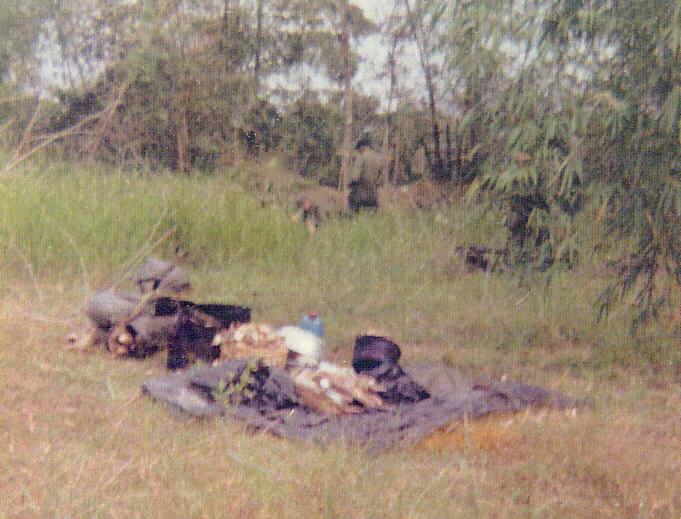 A short, quick firefight ensued as the enemy fired 20 to 25 rounds of AK-47 fire in return. 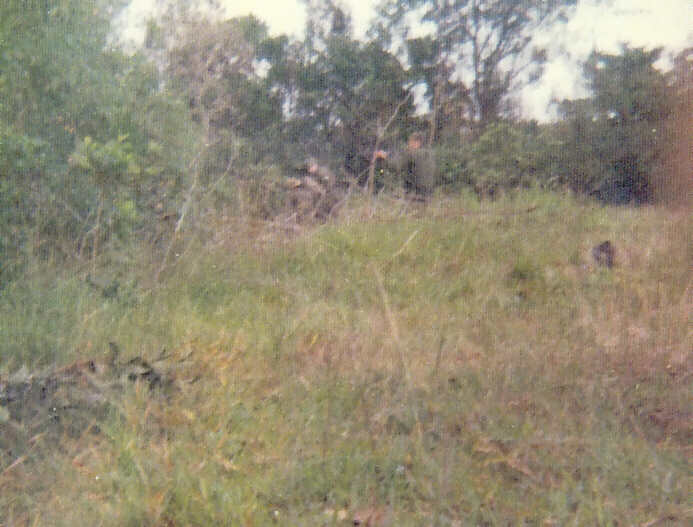 3rd Plt, Co C, 1st Bn 6th Inf 70-71. Rick took this photo "after most of the firing died down." hot, but his aircraft drew no enemy fire. 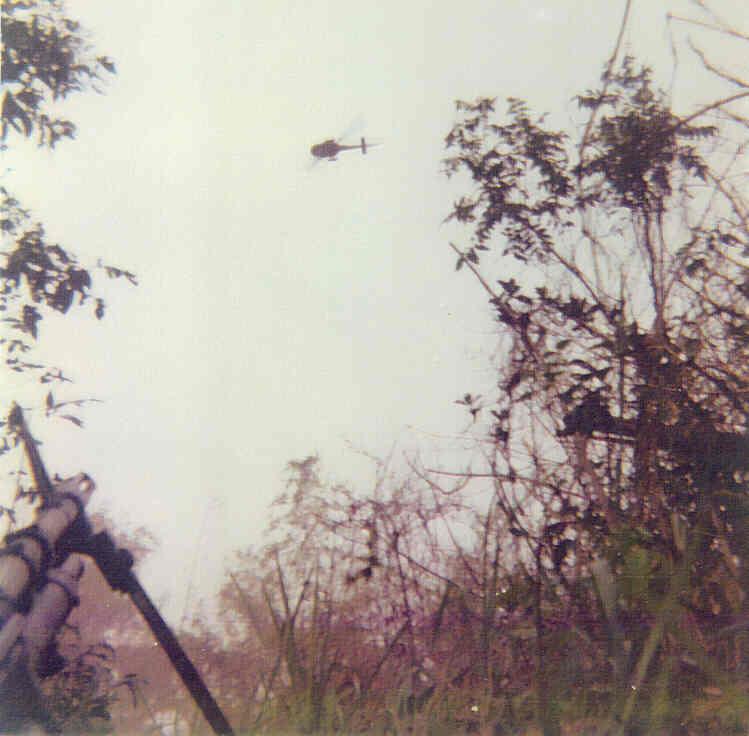 The "Regulars" got on line and, firing their weapons as they went, swept into the tree line on the ridge. down for their own feast. twelve enemy soldiers with packs and weapons approximately 1,000 meters away at BS 672 872.
turkey & dresing that same day at Nui Pho Tinh.